ASCENO create effortless pyjamas and swimwear for lovers of travel. Conceived by Creative Directors Poppy Sexton-Wainwright and Lauren Skerritt. The name, a combination of the duo’s mothers’ maiden names evokes thoughts of the sea & travel. ASCENO’s Loungewear Collections offer a modern twist on the classic sleepwear & swim categories. The shapes are relaxed, crisp, and effortless. The prints are fresh, dynamic, and vibrant. ASCENO is quickly becoming the go-to destination for effortlessly cool swim, lounge and sleepwear. 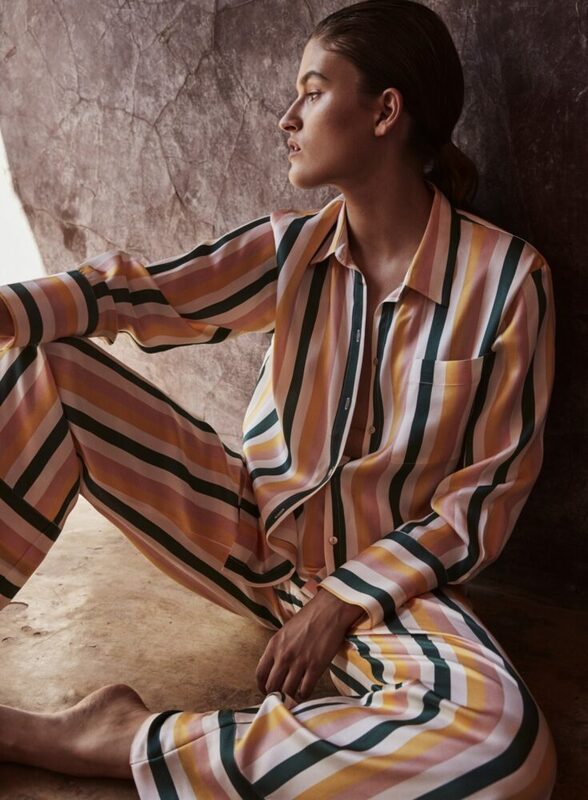 ASCENO’s contemporary take on sleepwear & swimwear have made it a fashion editor favourite and a regular fixture in top global publications including Vanity Fair, Harpers Bazaar and Vogue. ASCENO’s luxury swim, beachwear, silk sleepwear and silk loungewear collections can be found in exclusive department stores worldwide such as Selfridges, Moda Operandi, Saks Fifth Avenue, Neiman Marcus, Le Bon Marche, KaDeWe and concept stores such as Shop at Bluebird.